Are You Spending Way Too Much to Operate Your Swimming Pool? This summer, take a serious look at the cost of operating and maintaining your pool. You may find that a pump upgrade could provide as much relief to your wallet as your pool provides to your family's comfort and happiness. For those who are lucky enough to own a swimming pool, this is the best time of year. But as you soak in the sun, your pool’s impact on your household budget may be more than you bargained for. The alarming fact is that if you have a conventional pool pump, you are very likely paying too much—much too much—in monthly operating costs. Data shows that in homes with pools, the pump typically ranks only behind heating and cooling in terms of overall energy consumption. You’ve probably noticed that your energy bills rise during those months when your family enjoys the pool. What you may not have realized is that in a given year those costs add up to $460, on average. Well, that figure might make anyone consider cutting their losses, but don’t drain the pool just yet! According to ENERGY STAR, the solution is simple. Ditch the outmoded pump and replace it with a high-efficiency model. ENERGY STAR pool pumps are independently certified to save energy and money – they typically use about 70 percent less energy, saving the average household between $280 and $340 annually. Why do conventional pool pumps waste so much energy? The answer is simple: They run at only one speed. That wouldn’t be a problem if pool pumps performed only one role, but standard setups put the pump in charge of multiple functions, each of which calls for a different flow rate. For instance, filtration can often be accomplished with half the flow rate needed for vacuuming. Though the different functions have different requirements, a single-speed pump would apply the same flow rate in both cases. For vacuuming, the flow rate would probably be appropriate, but for filtration, it would definitely be overkill—expensive overkill. That’s why only those pumps that run at two or more speeds earn the ENERGY STAR. With these newer and more sophisticated pumps, you can be sure that the pump always responds with just enough—but not more than enough—power to accomplish the desired function. 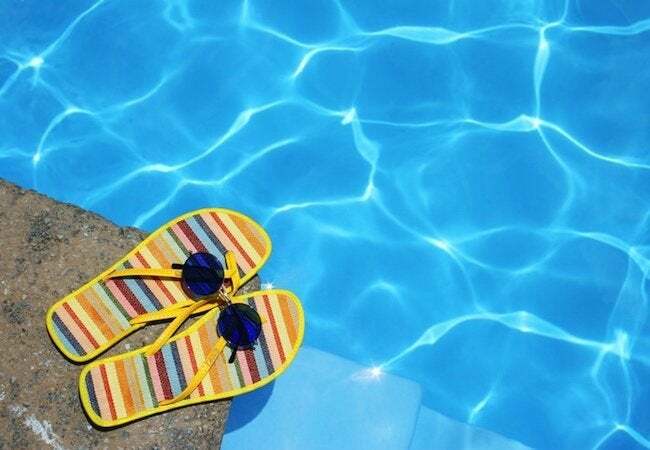 After installing a variable-speed pool pump, you shouldn’t notice a difference in water clarity, but when you open your utility bill at the end of the month, you should notice what a big difference a little energy efficiency makes. Even in today’s energy-conscious world, many pool contractors do not assume the homeowner wants a variable-speed pump — which cost roughly $550 more than their single-speed cousins. While it’s certainly true that high-efficiency pool pumps aren’t cheap, an ENERGY STAR-certified unit can pay for its additional upfront cost in less than two years. From that point on, for the lifespan of the product, savings go right into your pocket on average. Tom Cucinotta, owner of Cucinotta’s Pool Service in Boynton Beach, Florida, regularly installs variable-speed pumps and attests to their return on customer investment. “Here in Florida, energy costs are approximately 15 cents per kilowatt hour. If your pumps run on 1-1/2-horsepower, 10 hours a day, it’s going to cost about $1,232 a year. With a variable-speed pump cutting as much as 91 percent off that energy bill, it would cost about $125 a year. Huge savings.” Cucinotta also points out that if you have two conventional pumps, both single-speed, you can replace both with just one variable-speed unit. Pool pump lifespans range pretty widely, as a number of variables come into play. But eventually, any pool pump must be replaced. Of course, if the unit doesn’t start, that’s obviously a problem—but there are much subtler signs that you need a new pool pump. For instance, if the unit hums, buzzes, or otherwise makes a racket, repair or replacement may be in order. You might also notice the pump starting slowly and operating at low power. Another bad sign is for the pump to get hot and shut down. In any of these situations, the time might be right for an upgrade to a variable-speed, ENERGY STAR-certified pump. Your local home center or pool supply store probably stocks a range of efficient options from leading manufacturers Pentair, Hayward, and Jandy. In stores and online, you can also find models made by Blue Torrent Pool Products, Speck Pumps, and Waterway. No matter your chosen product, it’s well worth mentioning that if you install a high-efficiency pump, you may be eligible for state or local utility rebates. To view the available incentives, check out the ENERGY STAR Rebate Finder. In Cucinotta’s experience, “a variable-speed pump saves money every time,” but he points out that there are indeed additional ways to minimize pool maintenance and operation costs. 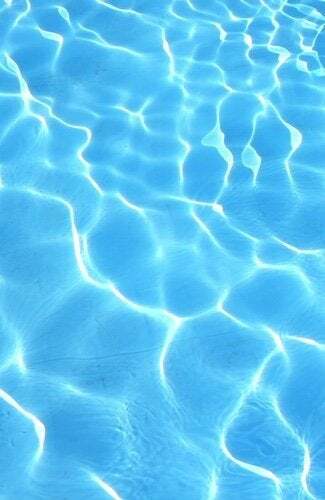 A pool cover, for instance, helps reduce nighttime heat loss, which would mean lower costs if you run a pool heater. Meanwhile, keeping the intake grates and drains clear of debris also goes a long way toward benefiting overall system performance. But if your monthly pool costs really seem to have spun out of control, don’t hesitate to investigate the cause or causes. “I urge homeowners to do an energy audit on their pool,” says Cucinotta. Since upgrading to an ENERGY STAR-certified pump may already require a visit from a pool specialist, consider inviting yours to suggest additional tweaks to your system—a different filter perhaps, or a programmable pump timer. But,in the end, replacing a single-speed pump is likely to make the biggest difference of all. As Cucinotta sums up, “Many people with older pool pumps are just tossing money away.” Want more information? Visit ENERGY STAR today. This post has been brought to you by ENERGY STAR. Its facts and opinions are those of BobVila.com.